We were on a cruise and our family was looking forward to exploring the island on our day in port. We made a reservation but an expected delivery of vehicles didnt come in so there werent any cars available. Distressing news for sure. Alex, the branch manager there was deeply apologetic and offered to pay for an excursion that allowed us to move ahead with our plans. Knowing how expensive excursions were (the reason for the rental), I told him itd be considerably more costly than the rental but he said that wouldnt be a problem and to go ahead and book it - which we did. While we didnt get reimbursed immediately, I can happily report that the funds arrived. Im still a little shocked that a company would come through like that and cover the expense of our alternate plans. What a great group of people. Thank you, Alex, and thank you, Enterprise! I had a good experience with Enterprise. They picked me up at the collision center with a new fully loaded Dodge Durango. I dont like Dodge but it was a good SUV, an acceptable temporary loaner to replace our Sante Fe. I considered 5 stars but I took one star off for having my least preferred brand of vehicle. The lot was over stocked with cars, went to rent one and there was nothing available. Went by later that evening and it was still over stocked. Barely enough room to drive around in their lot. Great experience and very friendly staff. 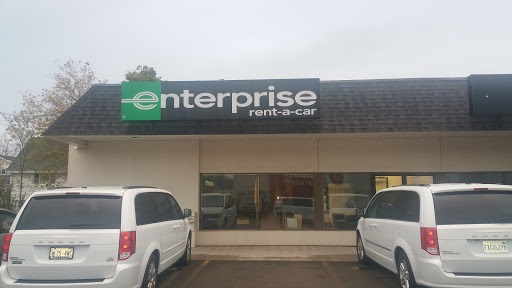 I have rented 4 cars from Enterprise in the past 3 weeks and I really enjoyed their services! The most OUTSTANDING people we have ever dealt with!